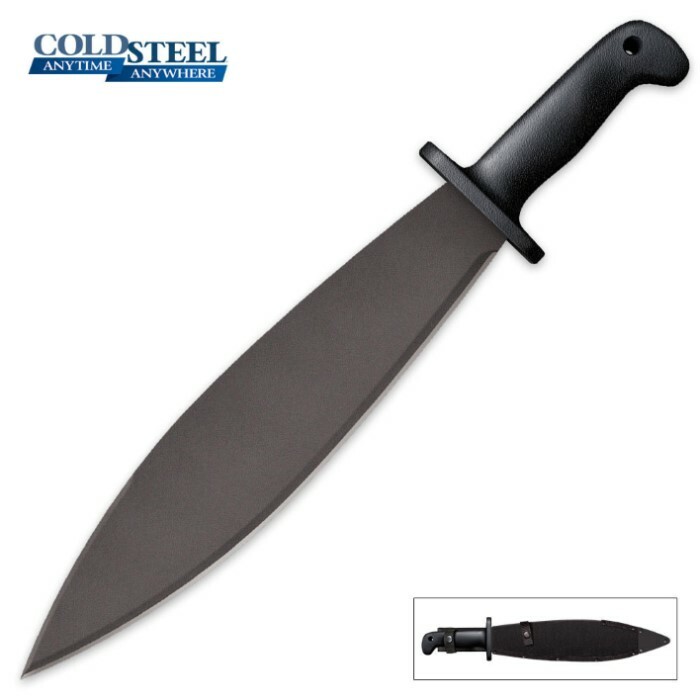 Cold Steel Smatchet With Cor-Ex Sheath | BUDK.com - Knives & Swords At The Lowest Prices! Cold Steel’s Smatchet is an updated version of a classic W.W.II knife. With its flat, heavy blade, it’s a beast of a knife that served many soldiers well. Crafted of 1055 carbon steel with a black baked on anti-rust matte finish, it will serve you for years and years, too. 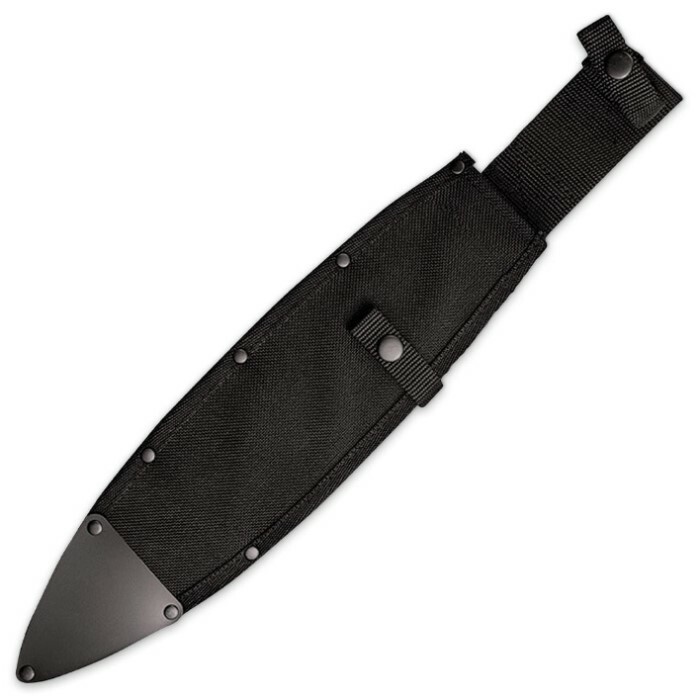 It has a rugged, weather-proof handle and a sturdy Cor-Ex sheath completes the package.